A Bear Called Lou. | | Quiet Lunch. Look at what we got. It’s always awesome when someone sends us art from around the globe to share with you Quiet Lunchers. 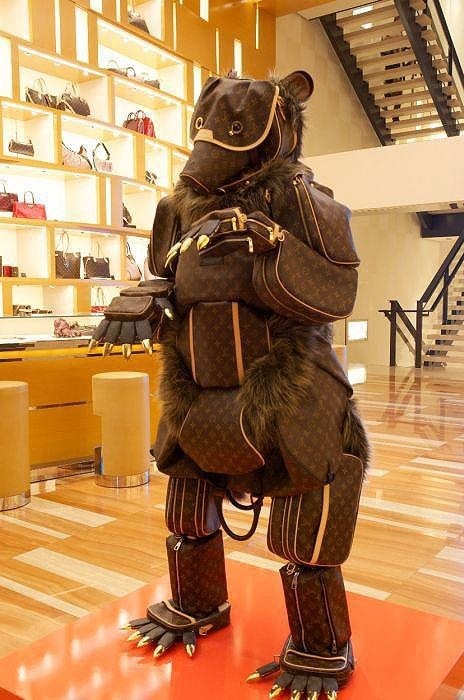 Check out this Louis Vuitton Monogram Bear on display in a LV Boutique in France. Photo by Wesley Clouden | Courtesy of Quiet Lunch Magazine.